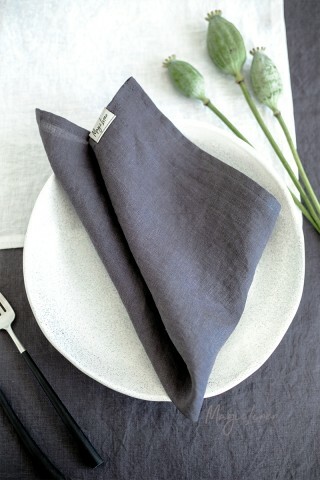 Linen napkin set in purple charcoal color. 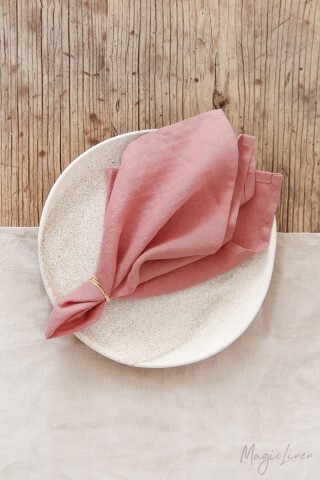 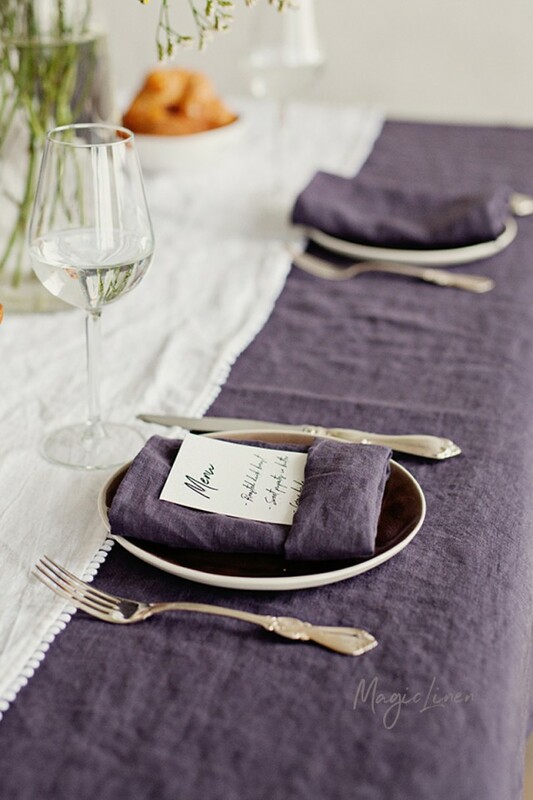 Elevate your tablescape with a set of beautiful linen napkins. 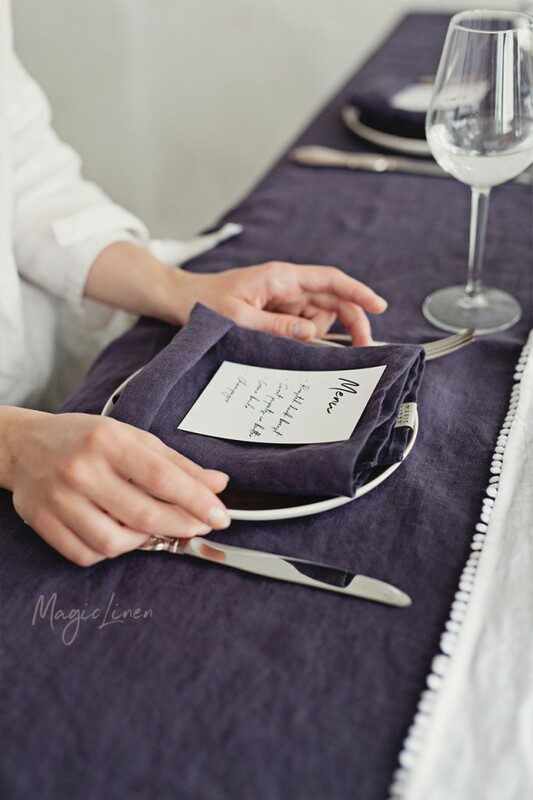 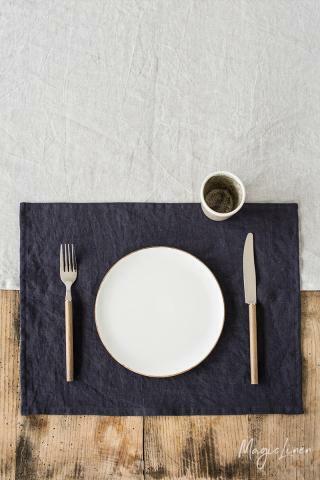 Durable yet soft and elegant, these linen napkins are easy to mix and match with other table accessories such as tablecloths, runners, and placemats.